These Vans Authentic skate shoes are available for Men & Women in Sesame. The casual, low top profile of the canvas uppers features double stitched reinforcement for greater durability and increased longevity. A round, sesame lace winds its way up the Vans shoes through 5 pairs of metal eyelets, while the lace-up has a fold over trim that continues up and around the top line collar of the skate shoes. A Vans logo tag sits on the outside of the shoes, marking these Vans out as a genuine classic. Inside the Vans skate shoes, the have an off-white canvas lining and padded insole bearing the Vans logo. The sole unit is extremely flexible and durable; made in Gum rubber. The Vans have a finely textured toe bumper, which provides more grip, and a Vans' 'Off the Wall' plaque on back. Underneath, is the classic Vans vulcanized rubber waffle outsole. This signature design of the Vans shoes features a high-grip hexagonal and diamond-shaped tread that has proven popular with the skating subculture. You don't change what isn't broken and the Vans are essentially the same popular and successful design they've always been, with an updated aesthetic style and all new colours so you can customise your look and show your individuality. If you're looking for a reliable and stylish skate shoe suitable for work, travel, school or - God forbid - actually skating, look no further than the Vans shoes for a fabulous classic that does just what it says on the tin. 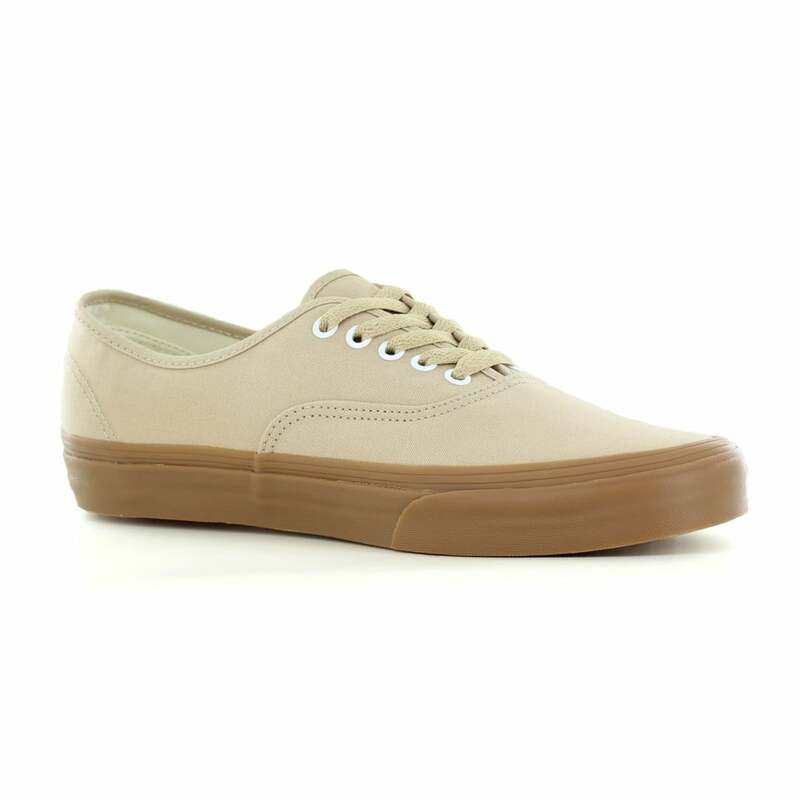 Buy these Vans VN0A38EMQA2 Authentic Unisex Canvas Skate Shoes - Sesame/Gum at Scorpio Shoes.